Join us in service, in worship, in community. Únete a nosotros en el servicio, en la adoración, en la comunidad. Join us for Communion Sunday every first Sunday of the month and Sunday school every Sunday at 9:30 AM. Únase a nosotros para el Domingo de la Comunión cada primer domingo del mes y la escuela dominical todos los domingos a las 9:30 a.m.
La Trinidad UMC is located in Pharr, Texas, and is part of the Rio Texas Conference. can be easily found by following Hwy 281 and Hwy 83 to their intersection. Tucked in below their flyaway ramps, our church welcomes you to join us for services, bible study, service, and fellowship. La Trinidad UMC se encuentra en Pharr, Texas, y es parte de la Conferencia Rio Texas. se puede encontrar fácilmente siguiendo Hwy 281 y Hwy 83 a su intersección. Ubicada debajo de sus rampas de paso libre, nuestra iglesia le da la bienvenida para que se una a nosotros para servicios, estudio bíblico, servicio y compañerismo. 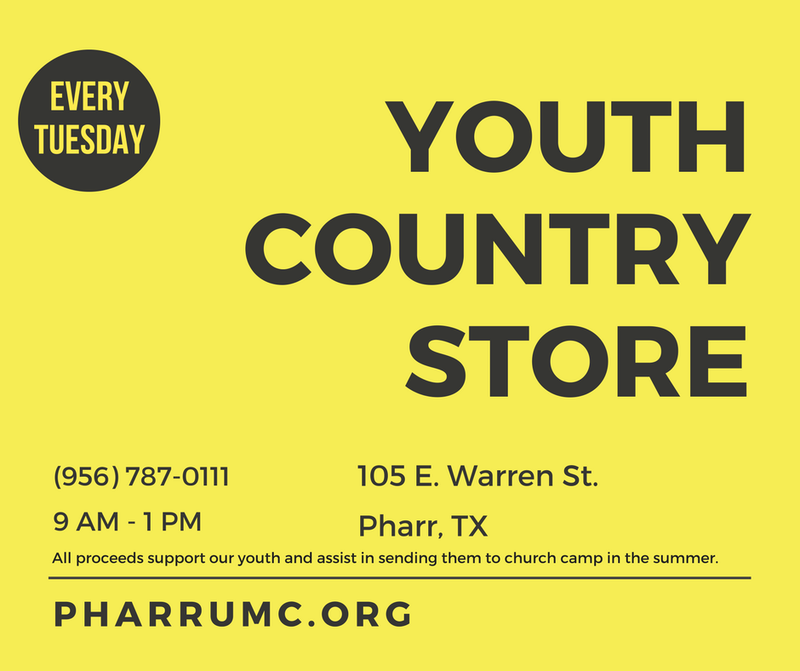 Tuesdays, 9:00 a.m. - 1:00 p.m. - All donations from the store's sale support our youth and assist in sending them to church camp in the summer. Martes, 9:00 a.m. - 1:00 p.m. - Todas las donaciones de la venta de la tienda apoyan a nuestros jóvenes y ayudan a enviarlos al campamento de la iglesia en el verano. We also now have recycling bins for newspaper and clean plastic bottles in the fellowship hall. Get involved in our community. Learn more here. VBS: Surf's up at the Surf Shack! Vacation Bible School (VBS) at La Trinidad UMC in Pharr runs July 25-28 from 6-8PM. Bring the kids! 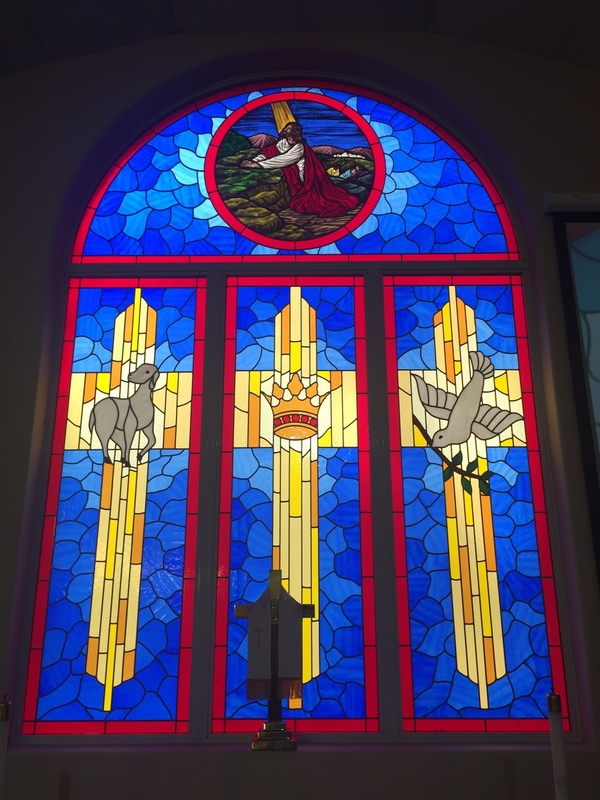 Keep in Touch with Pharr UMC!